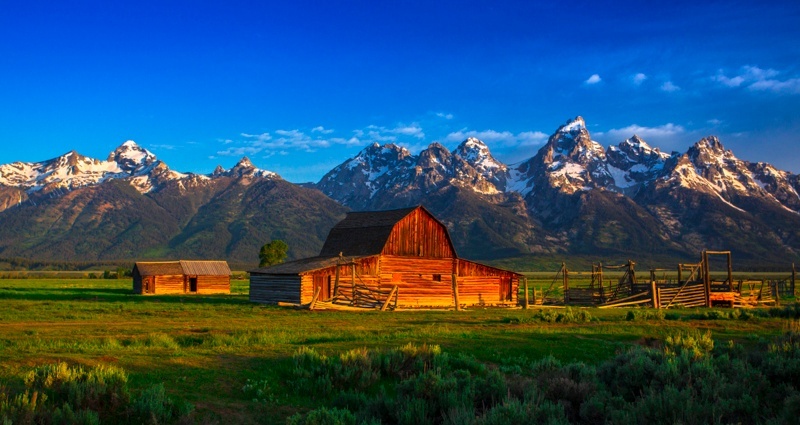 Since providing healthcare is geographic in nature, we will narrow our focus to the two LifeModes that are both rural, versus mixing Urban, Suburban, and Rural populations together. In addition, we will focus on populations that are older than 40 in order to target those who reliably utilize healthcare, versus younger populations in their late 20's and early 30'd who do not. By examining the makeups of these two LifeMode groups, we will be able to better understand their behaviors, habits, who they are, and what they do. 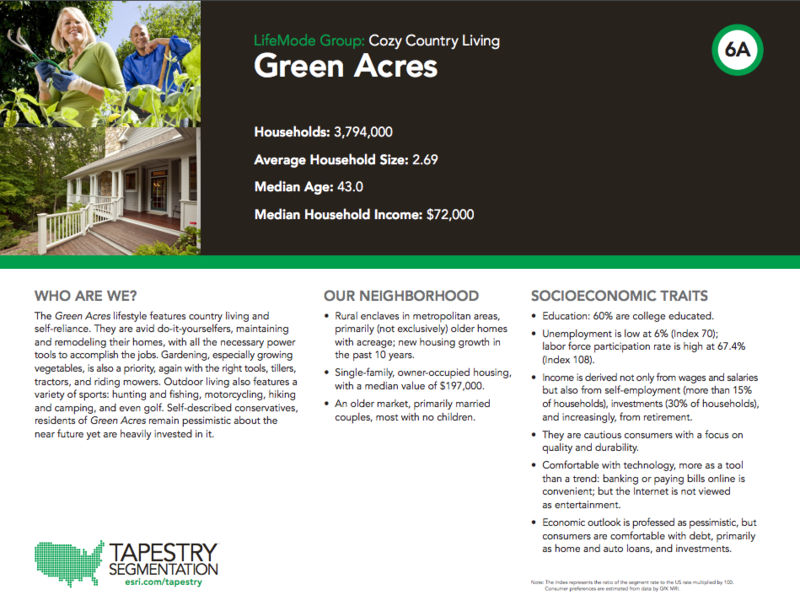 With these insights, you will be better suited to target these populations in and around your markets. 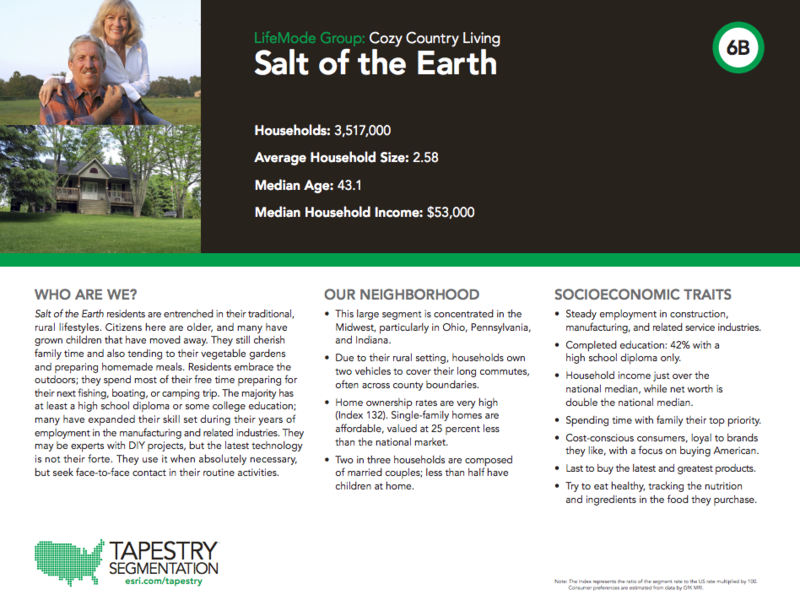 The Cozy Country Living group contains six individual tapestry segments: 6A - Green Acres, 6B - Salt of the Earth, 6C - The Great Outdoors, 6D - Prairie Living, 6E - Rural Resort Dwellers, and 6F - Heartland Communities. These six segments range from Semirural to Rural. 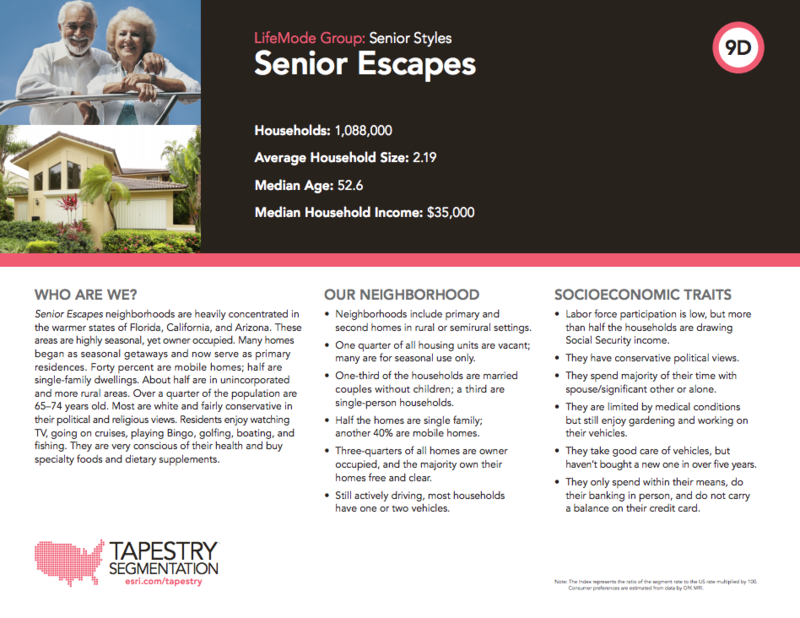 The median ages of these segments range from 41.7 to 52.8 years old. 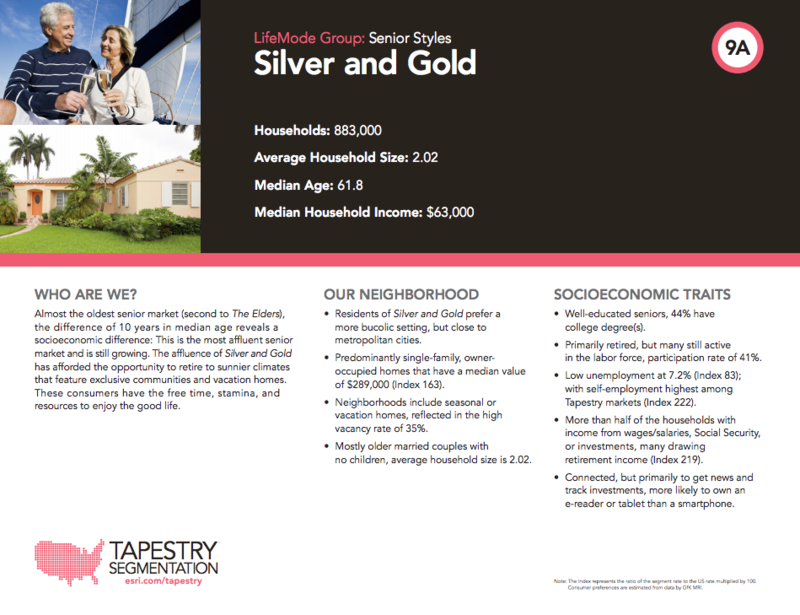 This LifeMode is also made up of six individual segments: 9A - Silver & Gold, 9B - Golden Years, 9C - The Elders, 9D - Senior Escapes, 9E - Retirement Communities, and 9F - Social Security Set. This LifeMode's urbanization ranges from Metro Cities to Semirurals with most falling into the Suburban Periphery and Semirural groups which were mentioned above. 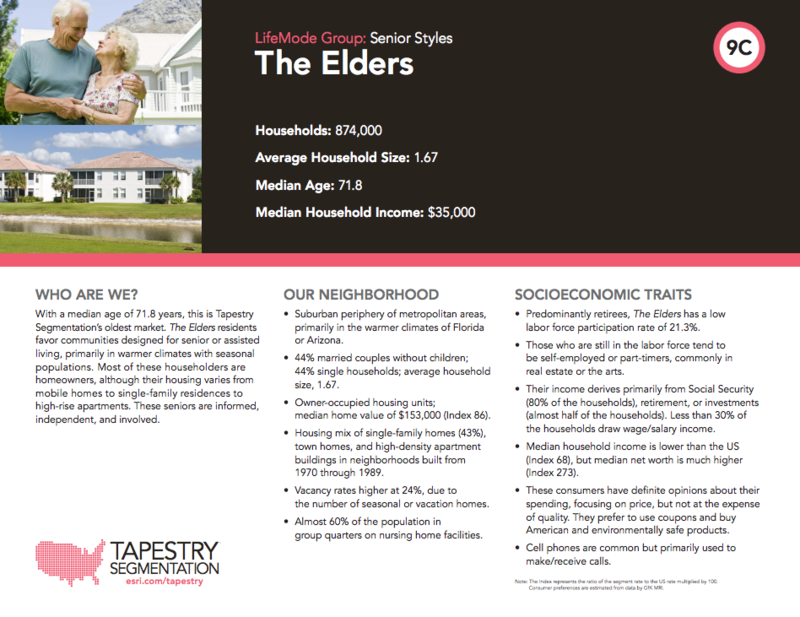 This LifeMode's median age ranges from 44.5 to 71.8 years old. 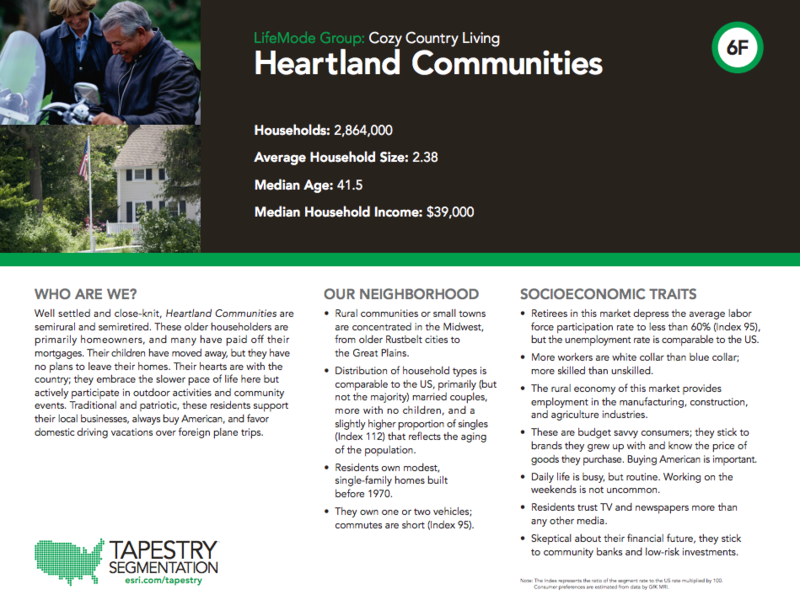 Throughout this series on Tapestry data, we will break out the various Tapestry Segments by LifeMode and uncover what the population that falls into each segments do, where they live, and what drives them. With a more in-depth understanding of each segment, you will be better equipped to serve your existing patient populations and expand your reach within your markets. 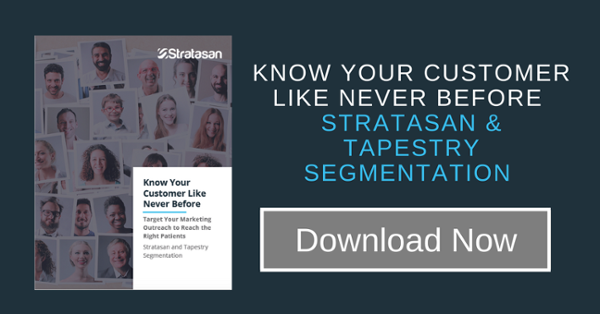 If you would like to learn more about Stratasan and how we can equip your team to use Tapestry Segmentation on your patients or market, email us at sales@stratasan.com.